What arch supports/orthotics are good for and what they’re not good for. Why arch supports/orthotics don’t treat every type of foot pain. Why custom arch supports/orthotics are usually no better than over-the-counter. A few reasonable, high quality brands of arch supports that will do the job for 90% of situations. Arch supports, otherwise known as insert or orthotics, are a very useful way of helping with foot pain. They function to “support the arch”, but what does that mean? It means that it limits the motion of some of the joints in the heel and arch and prompts the muscles in the arch not to let the arch sag. For the most part, an over-the-counter arch support does just this. A custom arch support which is much more expensive can do more. It can redistribute weight or modify the alignment of the ankle and heel some. Not every foot pain requires an arch support. Only the problems that are improved by limiting the motion in the back of the foot are helped by arch supports. This includes midfoot and hindfoot arthritis, plantar fasciitis/heel spurs, different forms of tendonitis including the tendinitis that causes a “fallen arch”. For some of these conditions, an over-the-counter arch support is enough. In some situations, it is not. A custom arch support can address more extensive problems and difficulties related to pes cavus (an exaggerated arch), more severe flat-foot problems, and forefoot pain, but for 90% of problems, an over-the-counter arch support is just as useful as a $300 custom insert. Are there down-sides to arch supports? Yes! Arch supports limit motion in the foot. This helps with pain in much the same way that a broken arm feels better when it’s casted. But what happens to a broken arm that is casted too long? It begins to atrophy. 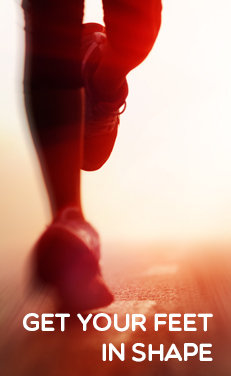 The foot can begin to atrophy or develop muscle weakness over time. This can impair the ability of the muscles in the foot to support the joints, ligaments, and bones. This can in turn lead to the same plantar fasciitis, fallen arches, and midfoot pain that we were trying to treat in the first place. Why would you use arch supports? You use them for conditions that are painful when the arch supports improves the pain. So like our cast, if you have a fresh injury that is less painful with the arch support and the arch support makes you more functional, use it for a short time (a couple of months or so), BUT wean out of it and working on strengthening those structures, especially the muscles. The second incidence is when the foot is so badly damaged, unstable, or arthritic that the arch support is used to position it so it works better. This is like person with arthritis of the knees so bad that they have become bow-legged. Unfortunately, in cases like this, short of surgery, the problem cannot be “rehabbed” straight and an arch support may be necessary indefinitely. Rehab may be a big part of keeping it from getting worse. The point is that most people do not need a custom arch support or to use an arch support indefinitely, just when there is pain that needs to be managed. Different Types of Arch Supports. 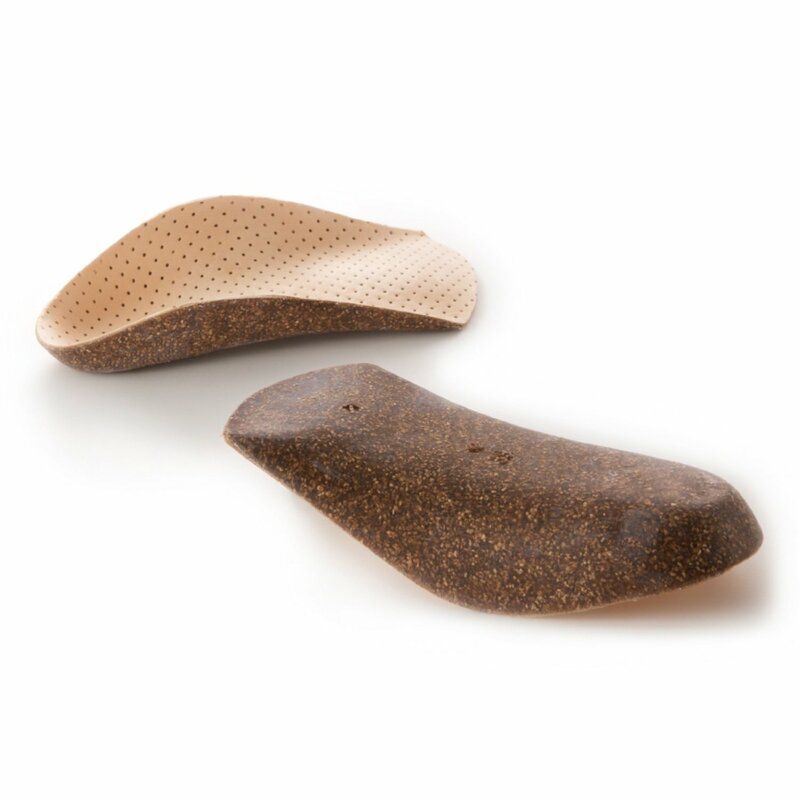 A 3/4 length cork arch support can be a durable, all purpose choice. There are a couple of different materials that arch supports can be made out of, cork, polyurethane foams of varying densities, hard plastic, and silicone. I generally stay way from silicone. Although it feels good in the packare, there are several reasons why it’s a not so good arch support material. Of these, my work horse insert is a heavy polyurethane foam insert with a plastic medial wedge in the heel and arch “cookie”. For the majority of people with midfoot arthritis, posterior tibial tendinitis (“fallen arch”) and plantar fasciitis/heel spurs (the most common reasons that I prescribe arch supports), these will give you everything that a custom insert will give you. 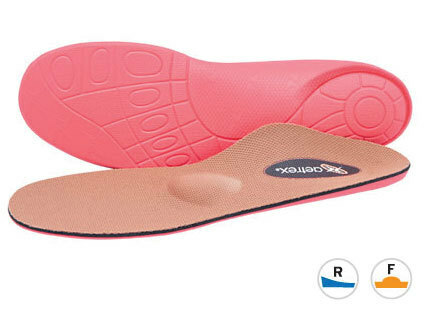 The one that I carry in the clinic is the Aetrex Lynco, but a number of companies make a good arch support. 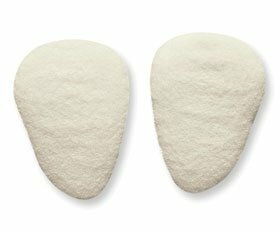 I especially like the ability to use either a posted or unposted heel (heel with or with a wedge to tilt it) or with or without a metatarsal pad for forefoot pain that Lynco provides. The arch supports are also color coded. The model that I use 90% of the time is the 420. This is an excellent arch support for plantar fasciitis/heel spurs, midfoot and hindfoot arthrits, and “fallen arches”/posterior tibial tendinitis. Really any problem that causes the foot to pronate or become flat. Some deformities are bad enough that a special arch support called a UCBL (for University of California Berkley) brace or an ankle brace such as a short articulated ankle-foot-orthosis may be necessary, but for most mild deformites an over-the-counter arch support would be enough. If you have the opposite problem, your arch is too high than the Aetrex Lynco 400 would be better. If the arch is so high that your ankle is unstable and gives out, or you are rocking on the outside border of your foot, then you may even want to apply a lateral heel wedge to the bottom of the insert. (Look for an upcoming video to see how this is done). Any arch support will only work if your foot, both the front and the back, is flexible enough to be positioned by the arch support. The Lynco 405 and 425 are used when the arch support is used for various types of forefoot pain. The metatarsal pad, which is basically a lump placed behind the ball of the foot, helps to displace the pressure from tender areas in the front of the foot. Unfortunately, the exact placement of this pad. Soretimes adding a felt pad can give more accurate placement of the pad to maximize its effect. In this way, the pad can be advanced or pulled back depending on whats comfortable. Don’t forget to sign up for our newsletter and get the latest updates and tips for treating foot pain.